The only NFL franchise located in the Pacific Northwest, the Seattle Seahawks joined the NFL in 1976, post AFL + NFL merger. The Seahawks have won nine division titles, three conference championships, and have appeared in three Super Bowls. Their first Super Bowl win came in the 2014 NFL season in a 43-8 rout of the Denver Broncos. The Seahawks have had three players inducted into the Pro Football Hall of Fame: Steve Largent, wide receiver inducted in 1995; Cortez Kennedy, defensive tackle inducted in 2012; and Walter Jones, offensive tackle inducted in 2014. 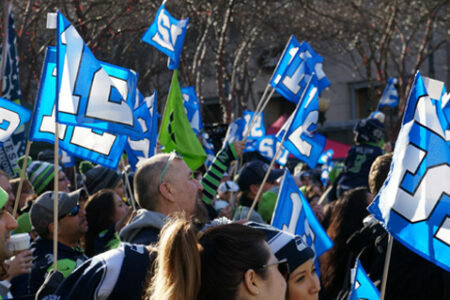 Some of the most dedicated fans in football, the devoted and passionate 12s, are Seahawk football enthusiasts. During football season, on Friday’s before a Sunday game, the entire city of Seattle is a sea of blue (known as Blue Friday) in support of our beloved Seahawks. CenturyLink Field, home to some of the rowdiest fans in sports and Seattle’s professional football team, the Seahawks, was built to replace the old Kingdome. Since its 2002 opening, the stadium has captured Guinness world records for loudest crowd noise level in an outdoor stadium at 137.6 decibels. Home field advantage reigns supreme at CenturyLink Field with statistics showing that opposing teams have had more false starts and delay of game penalties than any other stadium in the NFL since its opening in 2002. 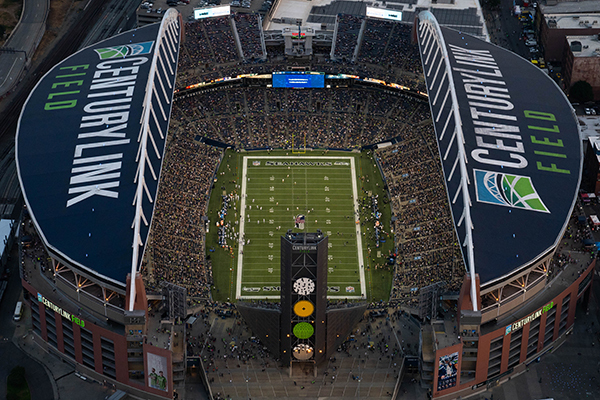 At capacity, CenturyLink Field can seat more than 69,000 fans, coming in as the fourth largest stadium in the NFL. As of the 2015 NFL season, the Seahawks have had a 99.6 percent renewal rate on season tickets and 105 consecutive sellouts.